Watch the trek to the North Pole with ACCO & the Cancer Climber! Thank you to everyone who submitted a name. Be sure to follow The Cancer Climber on his trek to the North Pole! Click here to visit our Facebook page to stay updated on Sean’s progress! The Cancer Climber himself, Sean Swarner, is a two-time childhood cancer survivor. As Sean embarks on his journey to the North Pole to complete his Explorer’s Grand Slam (7 Summits + the South and North Poles) he seeks to bring hope to those who have been touched by cancer and to raise money for participating cancer organizations. 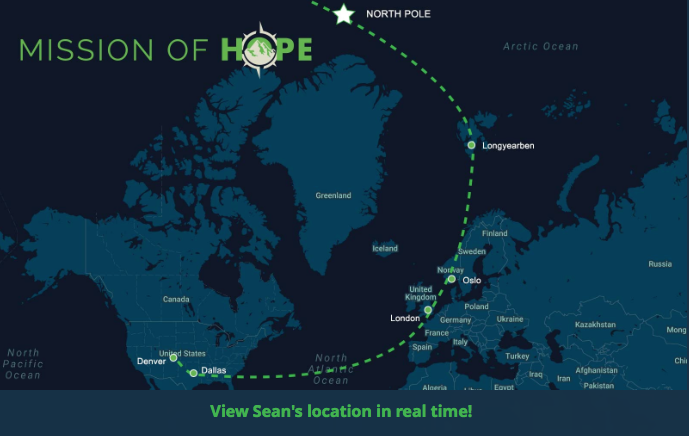 Throughout this part of his expedition, Sean will be bringing a flag with names of people touched by cancer, and upon arrival to the North Pole, he’s planting that flag in honor and memory of those affected by this disease. We hope this amazing project is a message to cancer fighters, survivors and their caregivers to overcome their own “mountains” and adversities.